Having been relatively silent since his successful 2017, Sampha has now returned with a new song. Titled "Treasure," the piano-driven cut comes from the soundtrack to Felix Van Groeningen's recent film Beautiful Boy, which opens in theatres today. You can hear Sampha's musical contribution in the players below. Beautiful Boy stars Steve Carrell as a father trying to help his young son (Timothée Chalamet) overcome struggles with addiction. You can read our review of the film here. 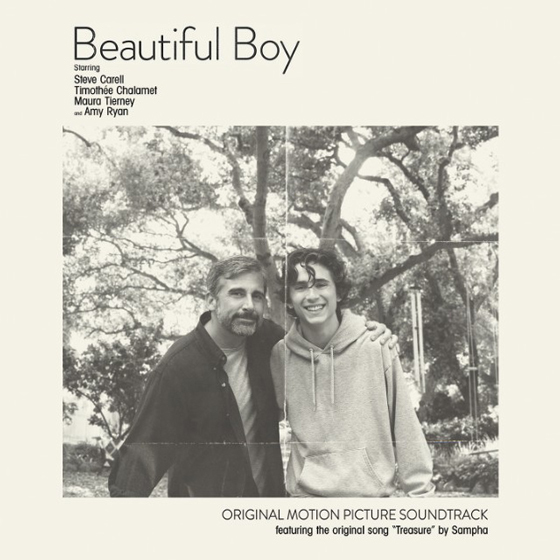 The Beautiful Boy soundtrack also features music from Massive Attack, Nirvana, David Bowie, Aphex Twin, John Lennon and more. This year, Sampha has contributed to albums by Lil Wayne and Florence and the Machine.